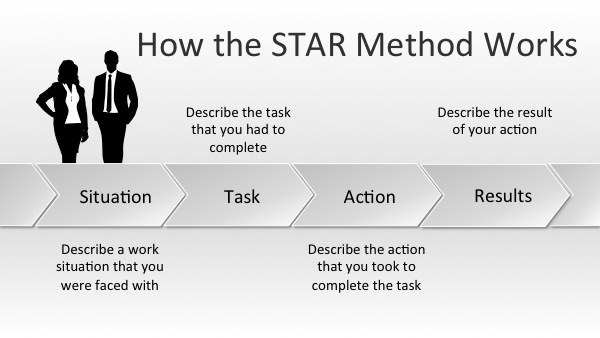 The STAR method has always been a popular way of structuring statements against selection criteria. By using STAR (or similar methods such as PAR or CAR) it is easy to see a link between your tasks, actions and results.It can be a helpful way to get your thoughts flowing and document your claims against the selection criteria in a way that makes sense. Situation: describe a work situation that you were faced with. Task: describe the task that you had to complete. Action: describe the action that you took to complete the task. Ability to achieve high levels of customer satisfaction in an environment with high work volume, strict deadlines and competing client priorities. I often come across competing client priorities in my work. For example, most clients have deadlines for the procurement of items for their organisation and require advice regarding procurement options and legislative requirements within a certain timeframe so they can complete their procurement. In these instances I have to make a well informed decision as to the priority of clients based on their deadlines and the importance of the procurement. For example, on one occasion the Department of Defence required advice regarding the procurement of an item for an overseas operation. My task was to provide this advice however I also had three other clients who had submitted requests before the Department of Defence. While these other departments thought that I should attend to their queries first I assessed that the operational requirements of the Department of Defence was considered a higher priority than the Department of Foreign Affairs and Trade requiring advice about the procurement of a new photocopier. Once I made a determination regarding client priority, I informed all clients of my turnaround time, explained the delays and higher priority issues that may affect the timeliness of advice. I continued to research and provide advice to the Department of Defence which resulted in a successful procurement for their overseas operation. In this instance, all four clients received the advice they required within an adequate timeframe and I received praise for the assistance I provided. What applicants don't know, is that while this method might help you to write your statements addressing selection criteria, this method only produces mediocre statements. And when 80% of all applicants use the STAR method, the selection panel ends up with a pile of mediocre applications. This method might help some people get an interview, but as a government recruiter who sits on panel on a regular basis and reads selection criteria statements all the time... the best statements don't appear to use this method at all. 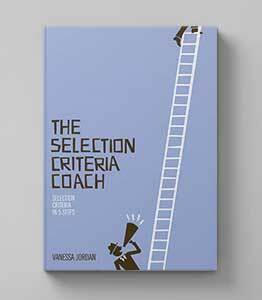 If you use the STAR method to write your selection criteria it is not going to doom you to failure. However, it is the small percentage who break free from the restrictive STAR method and whose applications shine, that end up with an interview. If you are new to government job applications using STAR can really help you get started. Writing about yourself is hard and time consuming. But once you've got the knack, I would suggest investing a little more time and effort into your criteria to really make them stand out. Why doesn't the STAR method work? The main reason is that it is too restrictive, and most applicants follow this method by outlining one instance where they have applied the selection criteria in their employment (see the above example). Doing something well once doesn't mean that you are consistently good at it! The selection panel do not want to know about an example of a situation, task, action and result that you have that you have encountered once in your day to day work. They want to know that you have consistently good knowledge, skills and abilities. The example we saw above (the coloured one) was written by a lady called Sue who was having trouble securing an interview. I worked with her on re-writing her selection criteria and she got an interview (and subsequently, the job) on her next try. Explains her 'wins' in the business and long term results (not just results from one instance). I currently work for the Department of X, whose mandate is to provide procurement information services to other Commonwealth agencies. My customer contact comes primarily via phone but I also spend approximately 20% of my time meeting with customers face-to-face to provide training or more comprehensive advice that isn’t as effectively delivered over the phone. My customer contact is high volume and the Department’s charter stipulates strict turnaround times that are documented and measured. I often come across competing client priorities in my work. For example, most clients have deadlines for the procurement of items for their organisation and require advice regarding procurement options and legislative requirements within a certain timeframe so they can complete their procurement. In these instances I have to make a well informed decision as to the priority of clients based on their deadlines and the importance of the procurement. For example, if the Department of Defence require advice regarding the procurement of an item for an overseas operation, this would be considered a higher priority than the Department of Foreign Affairs and Trade requiring advice about the procurement of a new photocopier. Once I have made a determination regarding client priority, I inform them of my turnaround time, explain any delays or higher priority issues that may affect the timeliness of advice, and then make an appointment with them at a later date to discuss the issue either over the phone or in person. As a customer care consultant I recognise the importance of my role in business partnering, as I have access to a large cross-section of staff and agencies. I use this exposure to gain an awareness of current issues of importance and arising issues, and communicate this knowledge to my business unit so that we can prepare for effective future service delivery. When communicating with customers I focus on listening to their needs, and respond appropriately. I believe strongly in educating myself in the business of my customers, as I believe this individual approach assists in developing appropriate solutions, and I demonstrate to the customer that their needs are important and that they come first. While partnering with current customers, I also form networks with potential customers. I believe this represents a tremendous opportunity to form solid working relationships, improve the image of my organisation, and present as an organisation with a high customer service focus. By discovering untapped areas, needs, and opportunities to deliver our products and services, not only are our image and perceived effectiveness improved, but outputs and deliverables across the organisation are maximised. I have had incredible success in this area of partnering and have high levels of customer satisfaction as measured by feedback surveys. I would be happy to provide copies of these surveys for your perusal at an interview. Explains your 'wins' in the business and long term results (not just results from one instance). I urge you to consider the damage you may be doing if you just follow the masses and do what they do. The selection panel do not want to know about what situations, tasks, actions and results that you have in your day to day work, they want to know why you are the best person for the job! 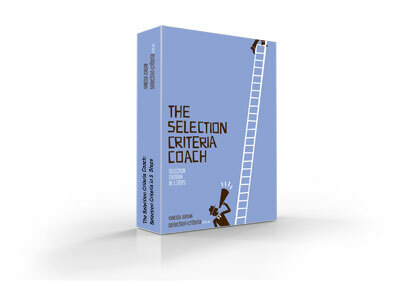 Transform how you think about and write your selection criteria with The Selection Criteria Coach. words and phrases to copy and paste. 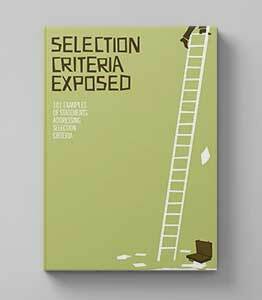 You'll have winning selection criteria statements in less time and with less effort.